Will my CPU run PCSX2? It's a 2nd Generation Core-i7, or "Sandy Bridge", product model - 2600k. 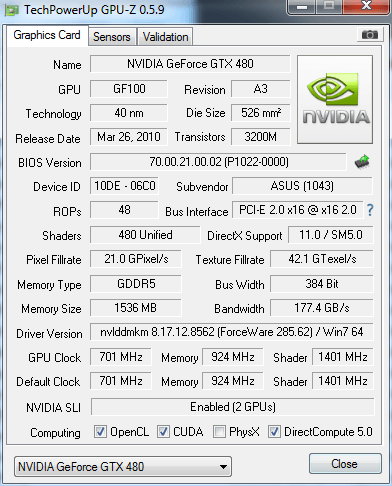 (03-02-2012, 04:10 PM)tallbender Wrote: what is your video card? It is an nVidia "Geforce", product model - GTX 480. You sure? How does it compare? CPU is one of the best on the market, GPU is pretty high end too. 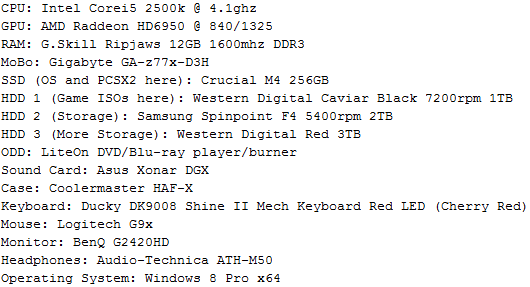 How did you buy these parts/computer and not know how good they are? EDIT: Rofl, your CPU is overclocked to 5.1ghz. Either OP is oblivious to how powerful his computer is or he's posting to brag. You better underclock your procesoor. You don't wanna crap your pants when you actually try. Lol I just saw, 1.52 v? You will either soon fry your processor or found the pic on the net and are just trolling. Ten bucks says that 2600K is already dead.